A Late Merry Christmas and Happy Holidays!! It’s already the end of the year. The last time I wrote something here was in September. I had to take a break from writing as I was super busy with the Christmas play at work and studying really hard for a Japanese language test. I also had cataract surgery recently and have been recovering from that. Now that my eyes are feeling better and everything is winding down, I am hoping to pick up writing on this blog again. I have written about the 80s’ band TM Network before. They are one of my favorite Japanese bands as they were able to do any genre successfully (and had really great songs too). And also, my favorite producer of all time, Tetsuya Komuro, was in it. 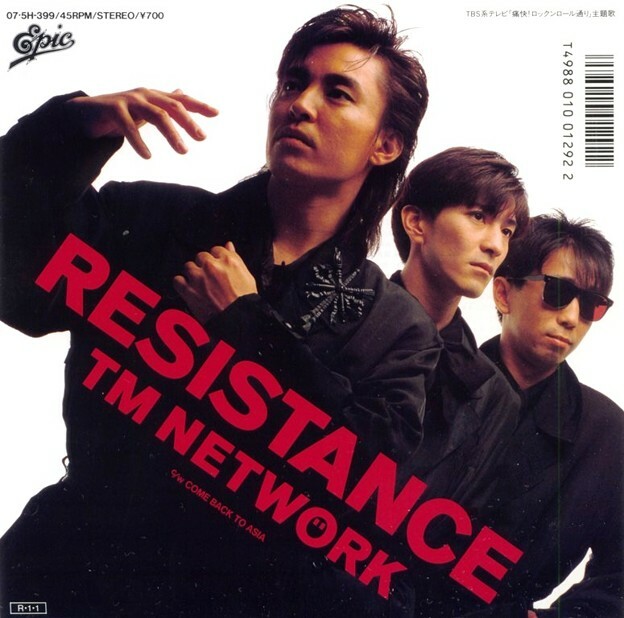 TM Network is a well-known band in Japan that has been around for about 30 years. It was formed in 1983 when the band that Tetsuya Komuro, Naoto Kine, and Takashi Utsunomiya were in, Speedway, split up. The guys came together and entered their new band, TM NETWORK, in a YAMAHA contest, performing the song “1974”. TM Network received perfect scores from the judges and won the grand prize, which caught the attention of Epic Records who offered the band a contract right away. TM Network made their debut in the spring of 1984 with the single “Kinyoubi no Lion (Take it to the Lucky)” and album “RAINBOW RAINBOW”. Over the years, TM Network has made a lot of genre changes. On various information sites like Wikipedia and etc, the band is listed as a pop-rock band with the pop side being more relevantly in their music. The band’s first couple of singles featured a sound that was akin to the Yellow Magic Orchestra’s technopop bliss, prominently “”Kinyoubi no Lion (Take it to the Lucky)” and “1974”. 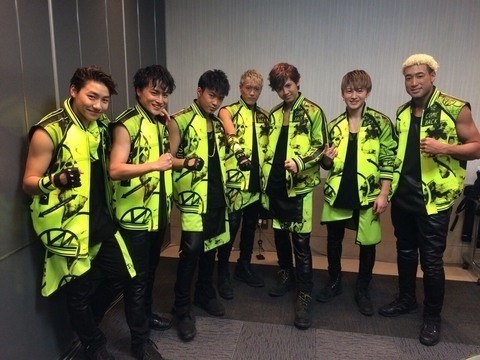 Over the years, they got their toes wet by dipping into new genres like R&B, funk, trance, techno, latin, hard rock (thanks to B’z guitarist Tak Matsumoto), ballad rock, eurobeat, dance, and others. Most recently, the band has been riding the electropop wave, especially since Komuro is a lover of current dance trends (he has been on this “dance music” craze since 90s though, see all the stuff he has composed during that time). Their Christmas love song “Leprechaun Christmas” from the 1987 album humansystem is a sample of TM Network’s electronic folk rock sound. By the time of the song’s release, Kine started to play more acoustic guitar on many of the group’s song, leading to an unplugged, simplified sound found in many songs like this one and “SEVEN DAYS WAR”. Even Komuro scaled back on the synthesizers as he only used a light dance bass and basic synthesizers. My favorite part is just before the chorus with the electronic guitar part done by Warren Cuccurullo, who is known for his works with Frank Zappa, Missing Persons, Duran Duran, and others. When you first listen to the electronic guitar part, you might find it a bit out of place and might even bewilder you. However, you will start to realize that the guitar part is a great addition as it brings that certain hard rock edge to “Leprechaun Christmas”. That refreshing twist saves the song from turning into a boring, redundant album track. This Christmas song is a simple song as it describes one’s view of what they perceive the Christmas season to be while thinking of love. The instrumentation is also basic but lovely as TM Network composes and arranges the song brilliantly with a folk rock vibe. Give the song a listen below. Don’t forget to listen for the “surprise” before the chorus!